This is a super fun blog hop....it's Sponging!!!!! It's a messy technique (LOL), but as you continue through the hop you'll see what type of amazing projects you can make using the Sponging Technique. Then I used Dazzling Details to add some bling. 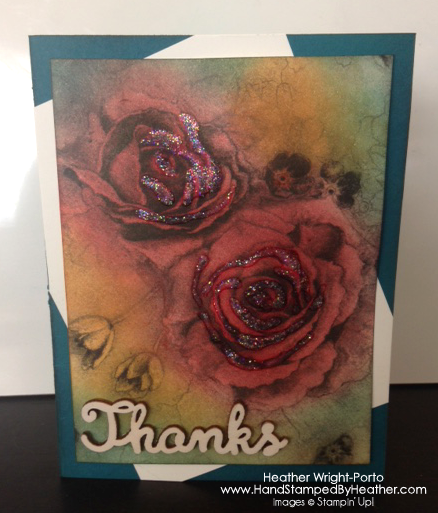 Then also used Natural Elements phrase "Thanks" and coated it with White Craft Ink (using a stamping sponge). These elements take some time to dry! lol. The other thing I did was slant the piece of Whisper White yardstick to try and make the sponging pop and to break up the darkness, although I love how the sponged colors all came together, and to compliment the "Thanks" greeting. Here's a special contribution from my darling daughter, Michaela (age 9). Let's continue to check out more Sponging artwork! Very pretty cards Heather! Great use of that designer paper, love the touches of glitter! 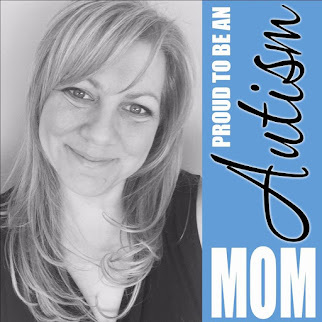 Beautiful cards, Heather, and I love your daughter's, too. I like how you added the gliiter effect to the petals. 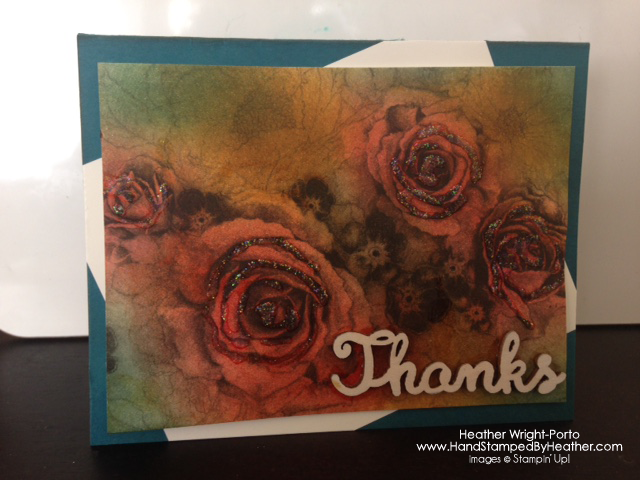 WOWza, absolutely stunning card Heather, beautiful colors to highlight the designer paper. I can't stop looking at it, it's beautiful!. 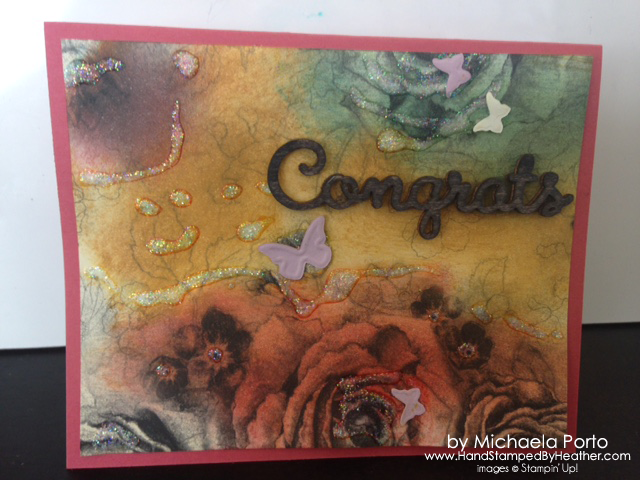 Gorgeous card Heather, what a great idea sponging the designer paper, it really makes the flower pop. Looks like Michaela takes after her talented Mum, she has done a wonderful job. This paper jsu screams for a sponge!!! You showed it well and Michaela' s rocked also. Gorgeous card Heather ! This technique on DSP is great !